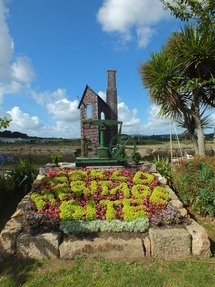 One of the seven 'themes' of the Cornish Mining World Heritage Site is the links between mining and Cornwall's great houses and gardens. You can explore these links and the rest of the site through a Mining Heritage tour. You can choose a tour which explores a particular area (click on the map below to discover more) - or one focused on a particular aspect or theme - engine houses, museums, houses and gardens, minerals, the social history. Every tour is completely flexible - you choose where to go, how long for and where you want to start from. Visiting mining heritage sites can be combined with anything else you want - we are happy to advise you on planning an itinerary. Flexibility also extends to the day of the tour as well - especially if the weather makes some of the outdoor sites less appealing! For more information about our tours, prices and planning visit our tours page. Tour FAQs can be found here. Cornwall Garden Tours are proud to be one of the first local World Heritage Champions - working with other individuals and businesses through the CoaST network - to help promote the Cornish Mining World Heritage Site and attractions to visitors to the county. 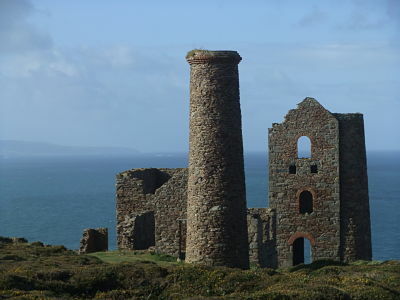 In 2006 selected mining landscapes across Cornwall and west Devon were inscribed as a UNESCO World Heritage Site, placing Cornish mining heritage on a par with international treasures like Machu Pichu, the Taj Mahal and the Great Wall of China. Ten separate Areas make up the World Heritage Site, each has its own character and opportunities for adventure. The largest World Heritage Site in the UK, with over 20,000 hectares spread across Cornwall and west Devon, it offers myriad experiences to explore our world-changing mining culture.